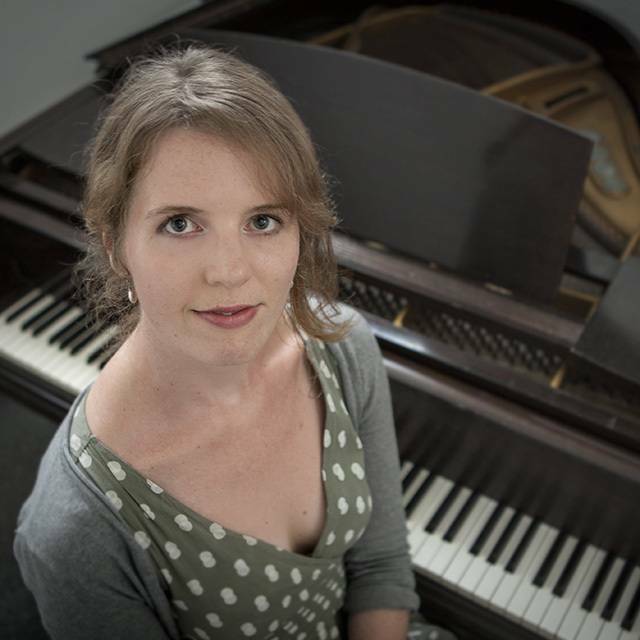 Katherine Williams is Lecturer in Music at Plymouth University. As well as lecturing in a traditional academic style, as Performance Coordinator she oversees all performance tuition, which includes both individual instrumental/vocal lessons and lecture-based ensemble work. Katherine's research interests include jazz, popular music, music and gender, music and geography, and digital cultures. She has published in these areas (as detailed on her publications list), and maintains an active research presence nationally and internationally. As a performer, Katherine is fluent in the idioms of classical, jazz and new music. While an undergraduate student at King's College London, Katherine studied classical saxophone at the Royal Academy of Music with Professor Richard Addison. She simultaneously trained in jazz saxophone with Pete Long. Katherine has performed with and coached a variety of ensembles, including the University of London Big Band, the National Youth Jazz Orchestra, and the University of Nottingham Philharmonia. More recently, she has performed with Plymouth University Orchestra, the University of Bristol's New Music Ensemble and Contemporary Music Venture, and the Bristol Metropolitan Orchestra. Katherine is currently commissioning works for and performing her own contemporary music and live electronics project, Venturing Out. Postgraduate Certificate in Academic Practice (PGCAP), 2015. Dr Williams is currently Module Leader for the performance options at Plymouth University: MUS401: Performance (1), MUS501: Performance (2), MUS611: Performance (3), and MUS621: Researched Performance. Beginning in Spring 2016 she will deliver the research- and practice-led MUS608: Jazz. She supervises undergraduate dissertations, particularly those close to her research interests of popular music, jazz, and digital cultures. Katherine's research interests include: jazz (particularly British jazz, Duke Ellington, and the parameters between improvisation and composition), popular music (especially the figure of the singer-songwriter), opera, gender, geographies of venue, music and geography. In June 2015, Dr Williams was awarded the first ever Ella Fitzgerald Charitable Trust/Jazz Education Network Jazz Research Fellowship. This Fellowship supports her study of the parameters of improvisation and composition in jazz, and has funded study visits to the Smithsonian Institute in Washington D. C., and the Institute of Jazz Studies in New York. Katherine will give a public lecture on her findings at the Smithsonian in spring 2016, and will present more of her work at the Jazz Educators Network Conference in New Orleans in early 2017. Rufus Wainwright (Equinox Publishing, 2016). The Cambridge Companion to the Singer-Songwriter. Cambridge: Cambridge University Press, 2016. Singer-Songwriter Handbook. New York: Bloomsbury Academic, 2017. 'Changing Attitudes and Tolerance Towards LGBTQ Singer-Songwriters', in the Cambridge Companion to the Singer-Songwriter (CUP 2016). '"Alright for a Girl", and Other Jazz Myths', in Jazz, Gender and Identity (edited by Wolfram Knauer). Darmstadt: Jazzinstitut Darmstadt, 2016. 'Duke Ellington's Newport Up! : Liveness, Artifacts, and the Seductive Menace of Jazz Recordings Revisited', in New Jazz Conceptions: History, Theory, Practice (edited by Roger Fagge and Nicolas Pillai), Abingdon: Routledge, 2017. 'The Classical Impulse in Popular Musics', in Routledge Companion to Popular Music Analysis: Expanding Approaches (edited by John Brackett, Ciro Scotto and Kenneth Smith). Abingdon: Routledge (forthcoming). 'Global Perspectives on the Practice and Pedagogy of Jazz History in the Twenty-First Century', Journal of Music History Pedagogy, Vol. 3 No. 2 (2012): 187-190. 'Improvisation as Composition: Fixity of Form and Collaborative Composition in Duke Ellington's Diminuendo and Crescendo in Blue', Jazz Perspectives, Vol. 6 No. 1-2 (2012): 223-246. 'Post-World War II Jazz in Britain: Venues and Values 1945-1970', Jazz Research Journal, Vol. 7 No. 1 (2013): 113-131. Katherine frequently presents her research at national and international conferences. In recent years she has presented her research at the meeting of IASPM-UK/Eire in Cork, EuroMAC in Belgium, the Society for American Music in California, the Darmstadt Jazzforum and the Jazz Education Network Conference in New Orleans. Invited lectures and colloquia 2014-15 include Plymouth University, the University of Bristol, the University of Surrey and Middlesex University.